If you haven't been to Cornwall lately and you are considering buying a new home, you should take the short drive to Cornwall and see it now. This riverside town, resting alongside the North River and West River, is a beautiful, vibrant community which has maintained a sense of rural charm while offering many urban conveniences. It's rolling hills and water views make it an ideal place to live while not sacrificing your travel time to the city. It is one of the last towns near Charlottetown where waterfront property and waterview property are still within financial reach of most home buyers. The Town of Cornwall is unique in many ways. One of it's most apparent differences is it's convenient access to the Trans Canada Highway. Though the highway snakes through the town, it presence is not intrusive. The highway offers many advantages for various types of economic development, residential development and retail, not to mention fast travel into the city or even commuting off-Island via the Confederation Bridge. The Town of Cornwall offers all of the amenities you will need without having to travel to 'town'. It has it's own medical clinic, 2 dental clinics, a veterinarian clinic and a pharmacy. It is 15 minutes from the Queen Elizabeth Hospital. There are plenty of places to eat such as Maggie's Restaurant and Pizza Delight. There is even a Tim Horton's! For our out of town visitors there are several hotels to choose from as well as a summer campground. 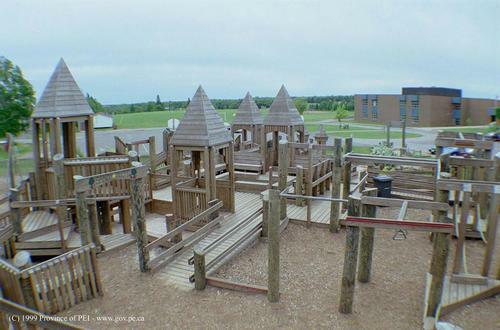 The Town of Cornwall has many young family's and there are plenty of playspaces and parks to accommodate. 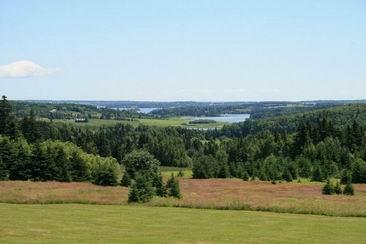 One such park is the Eliot River Dream Park and if you have ever been there, you know why it is called a dream park! It is a child's dream come true. The Town of Cornwall takes great pride in their community and it's residents. Town Mayor, Patrick MacFadyan welcomes you to contact him and the Town Councilors with any town matters. 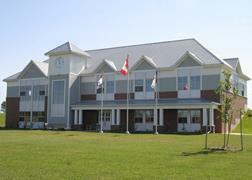 They are located at the new Town Hall at 39 Lowther Drive, Cornwall. Located beside the Town Hall is the APM Centre which offers all kinds of recreational services for the town residents. There is a grocery store conveniently located in the Cornwall Plaza as well as CIBC branch. The Town of Cornwall takes great pride in it's three Eastern School Board district schools: Westwood Primary School; Eliot River Elementary; and East Wiltshire Junior High. If you are looking for a new place to live in Prince Edward Island, Cornwall probably has everything you are looking for.